Large family home approx. 40sqs, on a fully fenced, electric gated and low maintenance 1281 m² block. Designed to offer complete flexibility on a grand scale to suit an active family. However you want to configure it, it’s all here. With 3 living areas, one upstairs family/playroom and two downstairs comprising formal lounge/dining leading to a large family TV room with Jetmaster gas log fire. Other features include ducted heating, evaporative cooling, extensive granite kitchen, meals area and floor to ceiling windows to enjoy the garden views. 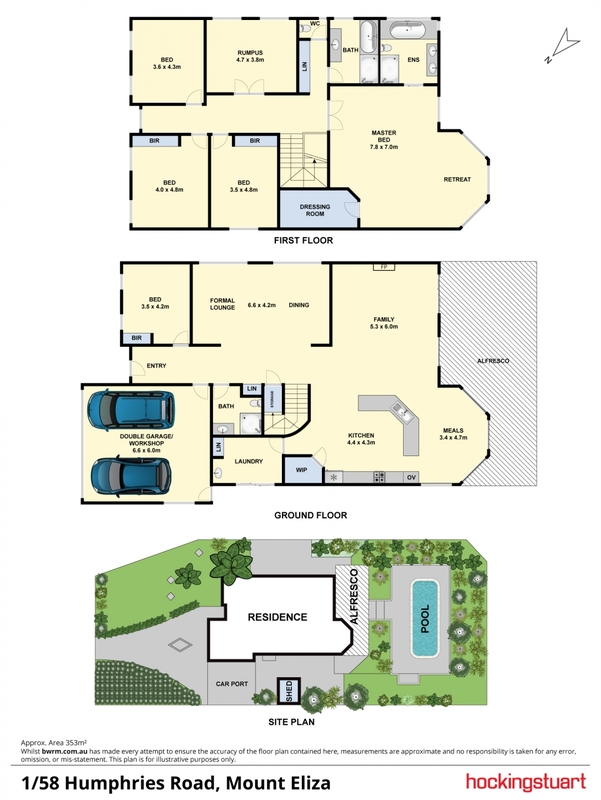 There are 5 bedrooms/study with a massive master suite of 8m x 7m, where you could be in a world of your own. Outside covered entertainment area overlooks a private, self-cleaning, salt chlorinated, solar heated, family sized inground pool. Double garage with internal access plus extra height double carport, ideal for boat and/or caravan. True family sized home, waiting for the next owner to enjoy their growing family and fibre NBN. Inspect with the family, you will all fit in.